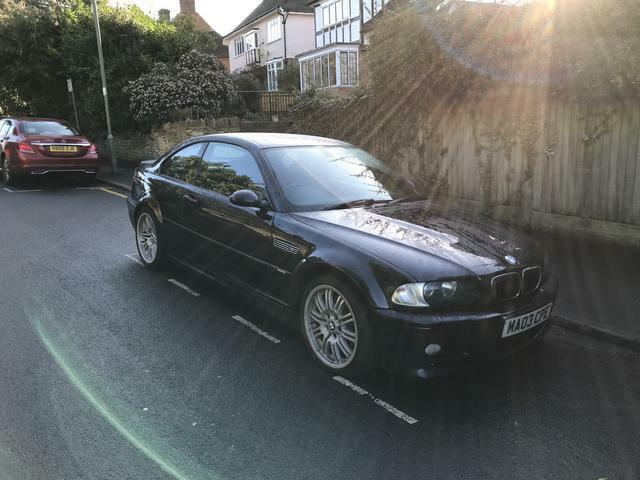 I recently acquired the E46 M3. My first "M" BMW. This motor is a 2003 model and has 165,000 miles on the clock. The engine is something else. The 6 pot is sublime and pulls up to the limiter without missing a breadth. What an engine. The 911 has been rested. The manual box is very intuitive and I am mighty impressed given the age and mileage on this one. Finally driving is enjoyable again. An old school motor. ...that this is the best combination of lightness and power in the M3 model series. These are really sought after by folks wanting to track their cars. That inline 6 is a thing of beauty. I have owned three M3's in series E36,E46 and E92. Of the three, the E46 hit the sweet spot of light weight, handling and engine performance. It has that prefect 3.2 liter inline 6 that loves to rev to 8k rpm! It's the one I wish I'd keep. Enjoy! congratulations on your new M! I also love the E46 series, I have a 2005 ZCP "Competition Package" Manual in Interlagos Blue, which was my dream car for many years. That car is rising in value now. My Trackcar is a Salvaged/repaired 2003 SMG in Imola Red, with many upgrades for the racetrack.